O' 5 billion non-Muslims of the world, you say that Islam is a false religion, Holy Quran is a false book, Allah is a false God, last prophet Muhammad (pbuh) is a false prophet and Muslims are terrorists. 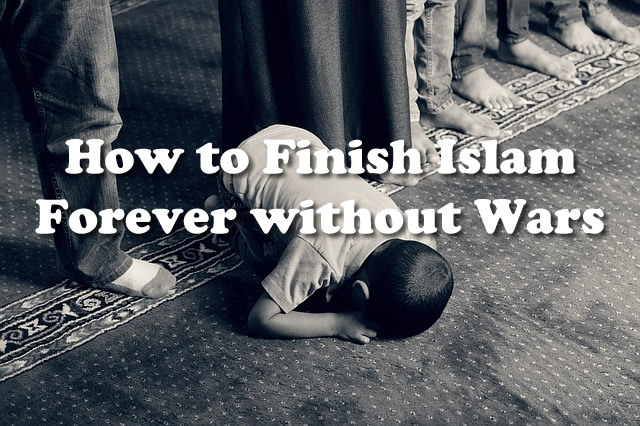 Then, come and I teach you the best idea for finishing the Islam. And, that is come on world media and prove that dead bodies of Muslim martyrs are not alive as claimed by God of Islam "Almighty Allah" in Holy Quran chapter 2, verse no 154 and chapter 3, verse no 169-171. By this way, you can easily finish the Islam because basis of Islam is Holy Quran. So, if these verses of Holy Quran about dead bodies will be proved false then whole Islam automatically will be proved false. So, who is ready from you who can say that on any T.V Channels of the world? Why do you struggle so much for finishing the Islam and why do you not just refute only this verse?